[NEW!] Collegiate Member ($20+): A Collegiate Member is an undergraduate flutist with an interest in new music who makes an annual contribution of $20 or more. Collegiate members are invited to give the FNMC premiere of the winning composition competition works and are eligible to perform in the FNMC Collegiate Flute Ensemble at regional and national flute events.. The competition winner will be selected by FNMC member vote of finalist works and will receive a complimentary PDF of all winning scores. Performing Members are eligible to vote on organizational and contest related decisions. Undergraduates studying with a current performing or commissioning member are eligible for the Collegiate Studio Discount and may receive the benefits listed above for $10 annually. Performing Member ($20+): A Performing Member is a flutist with an interest in new music who makes an annual contribution of $20 or more. Performing members are invited to give the FNMC premiere of the winning composition competition works.. The competition winner will be selected by FNMC member vote of finalist works and will receive a complimentary PDF of all winning scores. Performing Members are eligible to vote on organizational and contest related decisions. 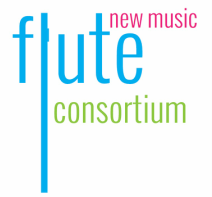 Commissioning Member ($175+): A Commissioning Member is an advanced flutist who contributes $175 or more.to our current project: an 8-12 minute work for flute and piano composed by Valerie Coleman with an anticipated simultaneous premiere date of January 2020. Commissioning Members are invited to simultaneously premiere the work on or following the specified premiere date and are considered commissioners. Commissioning members will be listed by name in the score and will receive a signed copy. Commissioning member flutists receive all of the membership benefits of performing members.